Want to see what a ground source heat pump might look like in your home? Come to the first of our three open houses. Throughout May, HeatSmart CCL will be hosting open houses at the residences of community members who have graciously offered to talk about their experience with clean heating and cooling and show you what their system looks like in their homes. 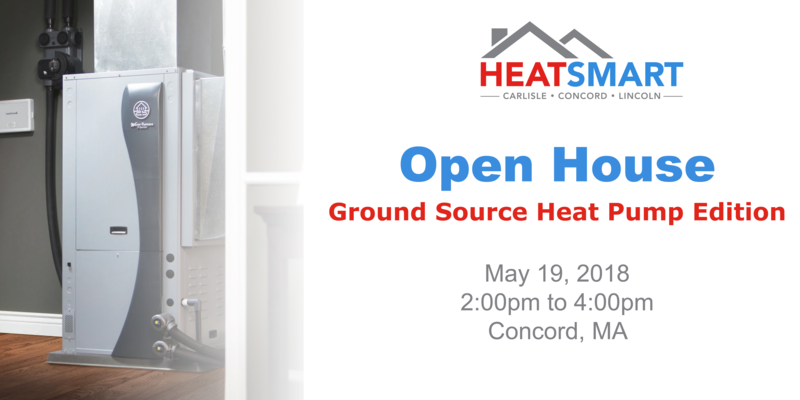 The ground source heat pump edition of the open house will be held in Concord. Come by any time on Saturday, May 19 between 2:00pm and 4:00pm to learn more about ground source heat pumps and get your questions answered by our selected installer, Achieve Renewable Energy.